Citrix VDI‐in‐a‐Box makes the benefits of desktop virtualization available to businesses of all sizes. Simple, easy yet affordable, this all-in-one VDI solution has been purpose-built to simplify and streamline virtual desktops— so you get a production-quality solution while instantly lowering your costs and improving security. 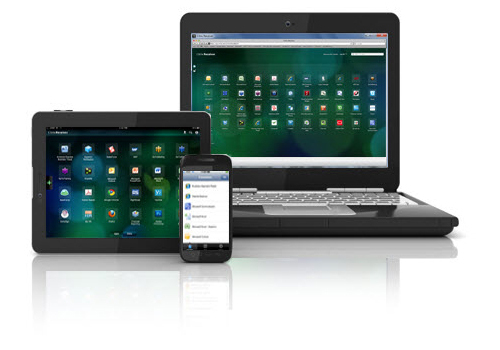 Designed for IT organizations with simpler needs, VDI-in-a-Box makes it easy to deliver centrally managed, personalized virtual desktops securely to any device on any network—all for less than the cost per user of new PCs. With Citrix HDX, users enjoy the same rich, high-definition experience found in enterprise-class Citrix XenDesktop no matter what kind of device they use.